The landmark of Graz is a clock tower, generally known as the Uhrturm. It is placed on top of a rock in the middle of the city so one can see it from many places. Near the tower, there is a station for a special elevator. The shaft is located in the rock and links up the city with the clock tower. 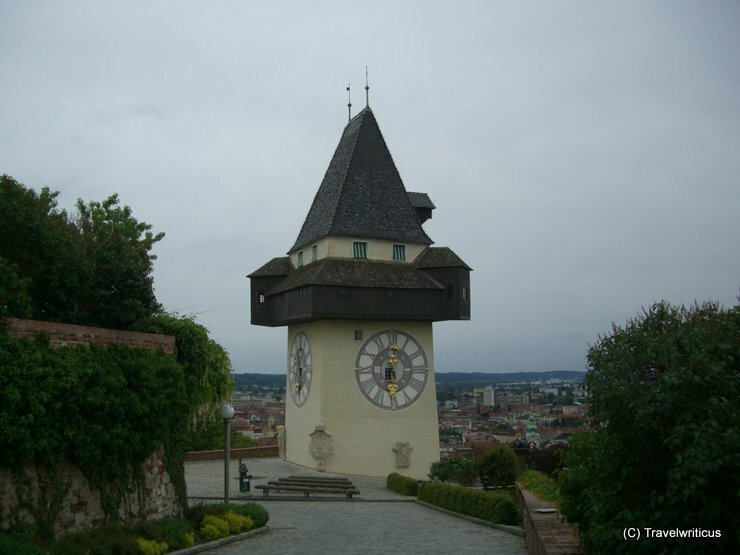 This entry was posted in Public Clocks and tagged Austria, Graz, Styria by Travelwriticus. Bookmark the permalink.